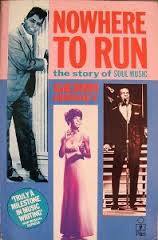 I’ve just re-read the chapter dedicated to Martha Reeves in Gerri Hirschey’s excellent 1984 biography Nowhere to Run – The Story of Soul Music. It includes a description of the Alabama-born, Detroit-raised chanteuse warming up for a post-Vandellas era show in Manhattan, putting a pick-up band through their paces. Clearly, the fire still burned deep for this iconic entertainer, 20 or so years after her major breakthrough. And I’m pleased to say that another three decades down the line, Martha still has that stage presence, wondrous voice and ability to coax a band to step up a few gears, judging by Saturday night’s set at Preston’s 53 Degrees. In fact, this Motown legend rolled back the years to prove the promoters’ claim that Preston’s Got Soul during a blistering late-night set at the University of Central Lancashire venue. Martha went down a storm with a devoted audience, proving to be the icing on the Christmas cake at a festive party with a difference, and a hit for ’60s soul lovers of all ages. After a 220-mile round-trip to East Yorkshire for an ill-fated football match that day, the thought that the main act wasn’t set to take to the stage until 11pm was daunting. But I need not have worried, Martha belting out a winning 90-minute set, treating a packed house to a number of Motown classic hits, cult near-misses, and even two carols. Come to think of it, she turned this celebrated venue into something of a church, a place of worship, quite apt with her gospel background and love of the influential Della Reese, who inspired far more than just a band name for Martha. 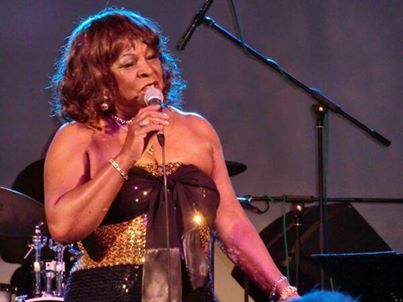 If there was any doubt that the 72–year-old was still on her game, it was soon dispelled, Martha grooving with the best of them, banging that tambourine, and hitting all those high notes. This was no through-the-motions live public appearance, the main attraction’s delivery never less than heartfelt, perfectly backed by an eight-piece band with a far younger average age. 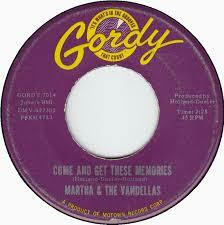 From 1966 Martha & The Vandellas opener I’m Ready For Love to 1967 b-side One Way Out, and her 1963 breakthrough Come And Get These Memories onwards, this was an impassioned set. Martha’s voice is still one to be reckoned with, powerful yet tempered perfectly to fit the mood. If anything, it’s even more awe-inspiring, working on another level. And while there were no Vandellas in attendance – she’s said in the past, ‘men broke up my group’ – her band knew when and where to turn up the heat – although always on her say so. A four-piece brass section and a bassist from Glasgow, a Parisien keyboard player, an English guitarist (he wasn’t more specific than that) and legendary New York drummer Larry Crockett certainly knew how to rein it in until the moment was right. This was an eight-piece built in the tradition of all those great Motown and Stax revues that took Britain by storm in the ’60s, and on the night Martha was happy reminiscing about her Christmas ’64 UK visit – a staggering 49 years ago. If the first three songs announced her arrival, the next number set the house ablaze, with 1965 classic Nowhere to Run remaining nothing short of inspirational, Martha and co. lapping up the audience response and raising their game with a timeless song that epitomised not only that era, but every bit as relevant to today’s generation. 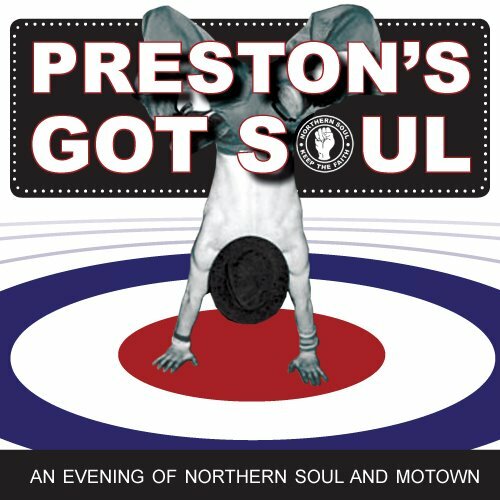 Martha was just the latest prestigious draw for Preston’s Got Soul, following Northern Soul legend Dean Parrish to the Fylde Road venue a few months before, and she knows just how to work a crowd. She was also willing to pass on a little seasonal dating advice, on a night when she added fizz with some shameless – though tongue-in-cheek – flirting with one amorous fan down the front, telling him to be patient (“I ain’t going nowhere, baby!”). Slow-building 1965 b-side Love (Makes Me Do Foolish Things) followed, before a tribute to Michael Jackson, a missing member of her ‘Motown family’, with her take on The Jackson Five’s I Want You Back. Next up was 1967’s crowd-pleasing Jimmy Mack, which threatened to raise the roof again, Martha joking with her audience that she’d sung that song 50 years and it still didn’t have a happy ending – she was still waiting for that ‘old man’ to show. The 60s soul aficionados in the house (and there were a fair few) then delighted as she flipped that particular 45 to give us Third Finger Left Hand. Those 1964 festive memories were rekindled with a touching Oh Holy Night that would have given the most committed non-believers cause for reflection. 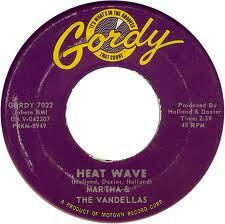 Martha then turned the screw again with a wonderful run through 1963’s (Love Is Like A) Heatwave, including a sing-and-respond extension in which she asked her devoted crowd if their love life was ‘hot, hot, hot’. I guess that was the song that turned me on to Martha, albeit first through The Jam’s blistering version on Setting Sons, itself bettering The Who’s cover for me. 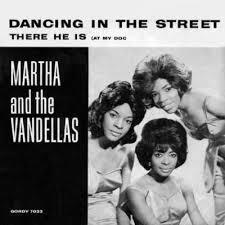 In the same way that I appreciated Otis Redding’s rougher edge to early Marvin Gaye, I also found Martha and the Vandellas more earthy, and a little more real than the Supremes. A more recent blues tribute, dedicated to her parents, followed, Watch Your Back, followed by 1964’s searing In My Lonely Room and the Johnny Bristol-penned 1971 post-Vandellas single No One There, all lapped up by an appreciative Preston in-crowd. Martha had already introduced ‘Mr Sticks’ on drums, and now handed over the mic to the rest of her band, highlighting that heady five-part Scottish, one-part English and one-part French cocktail that added such zip. Again, you could feel the love, perhaps proving more than ever that this was always more a party song than a call to riot, despite the troubled times it was written in. The compere briefly returned to lead the ovation, but Martha hadn’t finished yet, coming straight back on for a poignant Silent Night before returning to fever pitch for a classic soul medley to close the show. This time, a Dancing in the Street intro fused into The Four Tops’ I Can’t Help Myself, Stevie Wonder’s Signed Sealed Delivered I’m Yours, and Eddie Floyd’s Knock on Wood. Again, it struck me how much she’d been a part of such a golden scene, not least through her A&R secretarial days at Hitsville USA when Little Stevie Wonder first appeared on the scene – alongside the Miracles, and so many more great acts and moments. Pretty soon, while we paused for breath, she was heading backstage, with the DJs back on the decks. Yet she quickly promised to return out front for a meet-and-greet session, further delighting her fans as a night to remember continued apace. And Amen to all that. 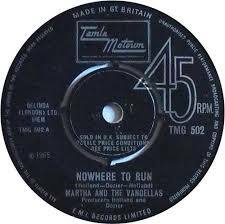 This entry was posted in Books Films, TV & Radio, Music and tagged 53 Degrees, Dancing in the Street, Detroit, glasgow, Heat Wave, Jimmy Mack, Larry Crockett, Martha reeves, Mod, Nowhere To Run, Preston, Preston's Got Soul, Stevie Wonder, Vandellas. Bookmark the permalink. I was actually there on the night and I must admit we had a fantastic time. Martha even instructed me to pose for photos with her both with and without my glasses on, then insisted that they were uploaded to Facebook!! I obviously had to agree to her demands. She is a true legend. You’re not wrong, Debb. I’d like to think I’d be thrilling crowds in my early 70s! Not only did she sound amazing but, for her age, she also looked amazing. She outshone me in my red dress!